Son and heir James has found a new skill to raise funds before returning to Manchester for the final year of his Masters degree…. 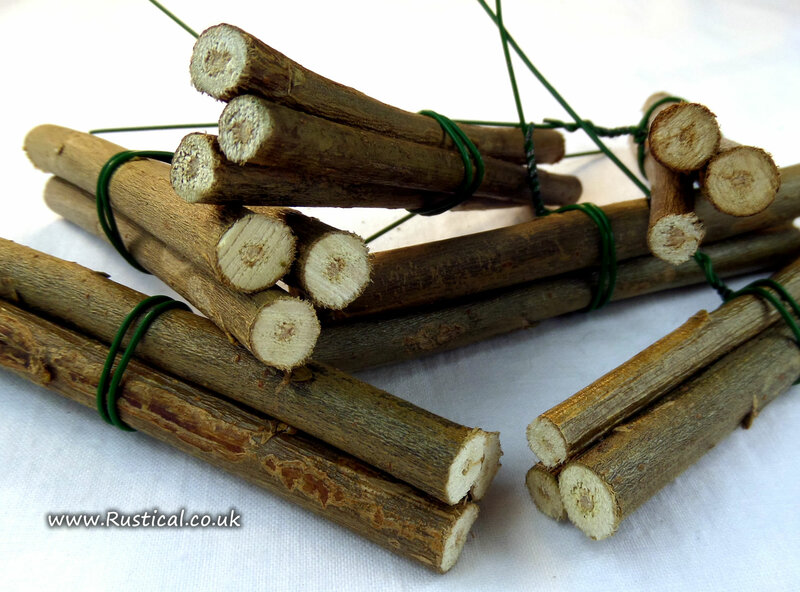 bundling up small willow ‘logs’ to make what florists call “picks” which are used to decorate festive wreaths and garlands. A length of green stubbing wire is wrapped around three suitably sized twigs or sticks (we use our home grown willow) to form the bundle which leaves the tail of the wire to be pushed through the wreath base and bent over at the back to hold it secure. The picks can be used ‘as is’ or further decorated with bows made of ribbon or raffia to suit the colour scheme of the wreath (and hide the wire) in a similar way to how cinnamon is often used.